“Where the mind is without fear, and the head held high.” – Rabindranath Tagore. Our literati’s wielded this phrase during an era when all the machinery of the State where obscured! A phrase that would have had lost its essence under the current circumstances too, in the very country of its genesis, if it was not for the Right to Information Act, 2005 (“RTI Act”). The Raj era in India curbed this liberal tone. Secrecy and lack of trust was the general tone of governance in the Indian colony. By the time the British left, these issues had seeped so deep into the Indian fabric that, the new independent India could not, but unconsciously imbibe it. Over time, this became the “ultimate tool” for corruption, red-tapism and fallacies in the bureaucracy. Sadly, the only freedom that India attained was “political”. The reigns of the governance were only passed from one master to the other. India’s social arena still continues to be gripped, viciously in a sickening brew of power politics, money laundering, VVIP racism and a lackadaisical government. The common man still suffers and is exploited. Amorously loaded with the RTI Act, the people took to grounds demanding answers, questioning authorities, exposing the atrocities and villainies within the government. RTI began to be used to redress individual grievances, get access to entitlements such as ration cards and pensions, investigate government policies, to expose corruption and misuse of government resources. It’s the ultimate ‘People’s Act’. The beauty of the RTI Act is the fact that it costs only ten rupees to get access to the requisite information. However, those below the poverty line do not have to pay even that, the information is free of cost for them. Ten Rupees is an insubstantial amount. This is all one needs to unnerve the government and throne themselves as the rightful democrats. Thus now, how should one go about presiding over their rightful position as the power holders of this country? The following are the armouries here. The Preamble, instilled in which lies spirit of the Act reads as, “Democracy requires an informed citizenry and transparency of information which are vital for its functioning and also to contain corruption and to hold the government and its instrumentalities responsible and accountable to the governed.” This self-sufficiently explains where the powers lie. The grievance redressing hierarchy is to be used in the case of not receiving the information within the prescribed time or if the applicant is not satisfied with the answers provided. At the first appellate level, a senior officer is appointed as the “First Appellate Authority”. The second appeal is at the State or Central Information Commission, as the case may be under Section 19 of the RTI Act. The Commission is vested with the power of a Court. The Commission may also impose penalties under Section 20 of the RTI Act, on the errant officials. A disciplinary action or a fine not more than INR 25,000 may be imposed. The RTI Act is omnipresent and omnipotent. Only 19 governmental organisations, such as, the Intelligence Bureau, Research and Analysis Wing, Directorate of Revenue Intelligence etc., are immune from this Act and only so for national security reasons. However, these organisations may still be required to furnish information in cases where the Appellant’s query is regarding corruption or on human rights violation. Thus, one observes that RTI is a piece of legislation that has successfully democratized information and knowledge. It has a citizen-centric approach to development. Over the past ten years, one has seen dynamic changes in the society through the RTI Act. Subhash Agarwal used this tool to ensure that all the assets and liabilities of the Supreme Court and High Court judges are disclosed to the public. Satark Nagarik Sangathan has successfully campaigned for improvements in the quality of public services. Another organisation used the RTI Act to unearth the maladministration during the Commonwealth Games. A student has used the RTI Act to uncover files on enhancing “the security and safety of the citizens” in Mumbai from manmade disasters post the 2007 terrorist attacks and bomb blasts. This file had been gathering dust and lay buried under bureaucracy for over 5 years thus, endangering a million lives. Another asked questions through RTI that eventually reported that there are many border areas of India that do not have any security fencing. Shashi Tharoor in his novel, “Pax Indica” rightly remarks that,” India is a slow moving elephant, which must be prodded to break into a trot.” It has a lot of potential, but a few evils in the society prevent it from shining bright. Since the spirit of this country lies in its people, it’s us who have to fearlessly and proactively strive towards removing these evils. To the many people who are still oblivious to the powers of this amazing Act. One must realize that “WE THE PEOPLE” are the “real owners” and “CEO’s of this country”. It is our job, our right and our duty to constantly question the government and inspect it. If every person in this country files just one RTI, asks just one question, we could change the very dimensions of this country and revolutionize it to massive heights.
. Official Journal of the European Communities, CHARTER OF FUNDAMENTAL RIGHTS OF THE EUROPEAN UNION, http://www.europarl.europa.eu/charter/pdf/text_en.pdf, 2000/C 364/01.
. Article, Mandakini Devasher Surie, “Right to Information in India: An Effective Tool to Tackle Corruption”, http://asiafoundation.org/in-asia/2011/09/28/right-to-information-in-india-an-effective-tool-to-tackle-corruption/. (Last Visited on 29th August 2015).
. See Infra Section 19 of the RTI Act.
. http://cic.gov.in/CIC-IntlEvents/IC-MA-LectureAtUNESCO-15052008.pdf, M.M.Ansari, Information Commissioner.
. Mr.Girish Mittal v. Central Information Officer on 11th August, 2010 Appeal No. CIC/WB/A/2009/000552.
. The Chief Public Information Officer, Supreme Court of India v. Subhash Chandra Agarwal & Anr. on 2 September ,2009 , Case Number : W.P (C) 288/2009.
. Section 20, subsection (1) of the RTI Act, 2005.
. Notwithstanding anything in the Official Secrets Act, 1923, the rest falls under the ambit of this Act.
. Secretary General, Supreme Court of India v. Subhash Chandra Agarwal , Case Number : 501/2009.
. Anoop Prakash and Shailaja Menon, Fenced Indians Pay for Security, Economic and Political Weekly. (Last visited 28th August,2015). 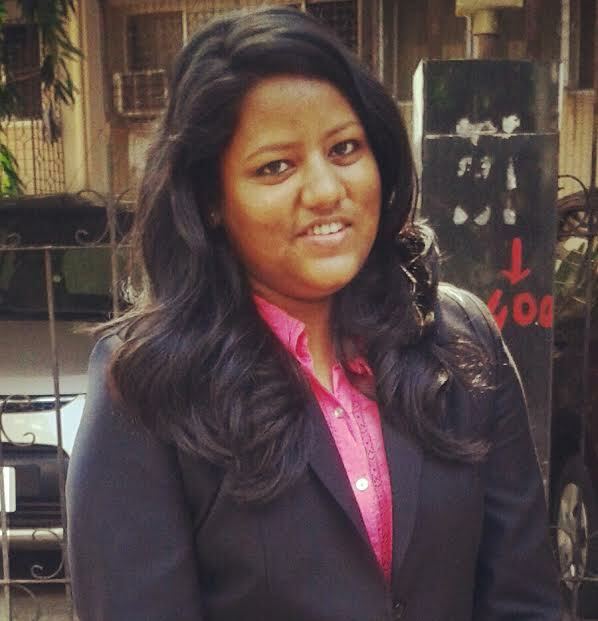 Koshika is currently a Law student at Mumbai University. She is an avid reader and a vociferous writer. She has authored opinions and articles in various magazines namely: TIME, Outlook, Frontline and The Week. She is a Social-Reformist, an active Debater and a MUNner. She was titled ” The Youth Leader” at the national Indian Student Parliament Conclave. She is also a passionate advocator of Human Rights.